Let’s Go to the Races (at Keeneland)! If you have never visited Keeneland Racetrack in April or October, you have missed a chance to experience elegant entertaining at its best. Keeneland is an icon in Lexington, KY. It’s not just about thoroughbred racing – it’s about a lifestyle and food traditions that span generations. 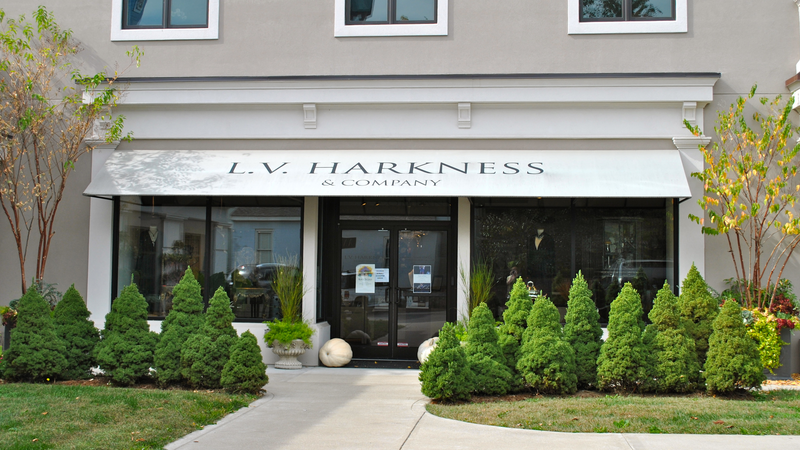 I am fortunate to have relatives and friends who live in Lexington and invite us to visit every year in April and October. Although there are only two meets there annually, an entire lifestyle has developed around the fun, the food and traditions. We are always welcomed to my cousin’s home with bourbon cocktails and appetizers. I look forward to finding my hostess gift beautifully wrapped and waiting on our arrival artfully displayed on the guest bed. It is always a gift of finest taste related to horse racing. 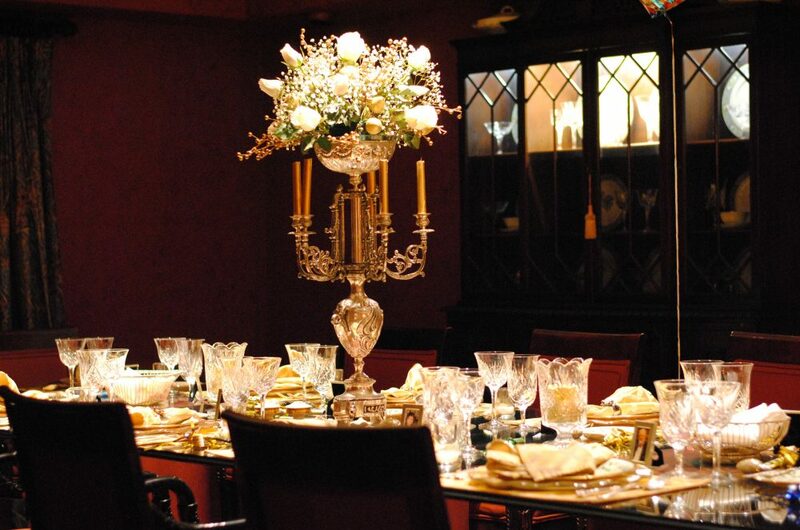 We enjoy a long and lingering exquisitely prepared dinner with fine china and crystal.Then to the great room for after dinner drinks. Our visit last month was no different. We had a fabulous dinner of Ina’s roast chicken with fresh corn and Napoleons for dessert. 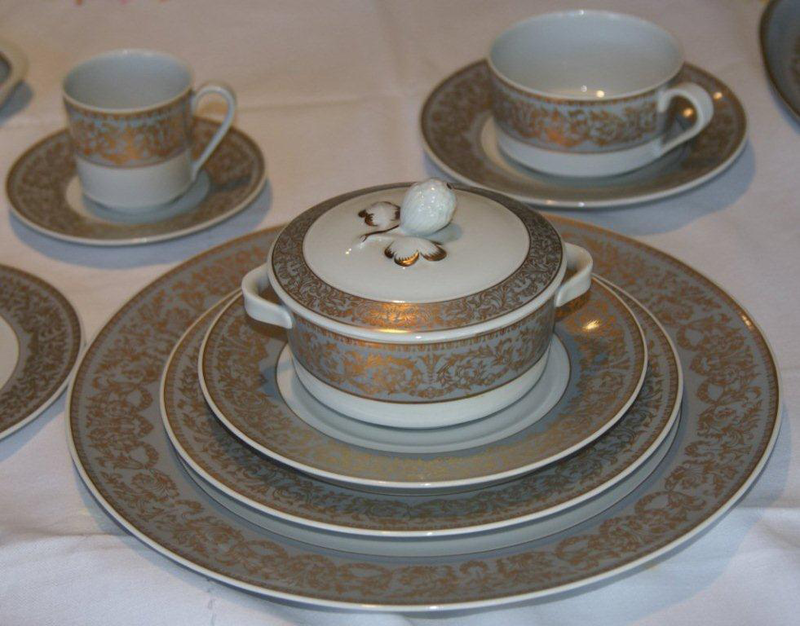 The china was a delicate Swiss pattern with a gorgeous aqua band trimmed in gold called Langenthal Chateau. My cousin recently shared her menu for the Kentucky Derby dinner she prepared, and I thought you would enjoy reading it about too! Most of the recipes are from Ina Garten’s Back to Basic’s Cookbook, which I gave her as a hostess gift during one of our visits. 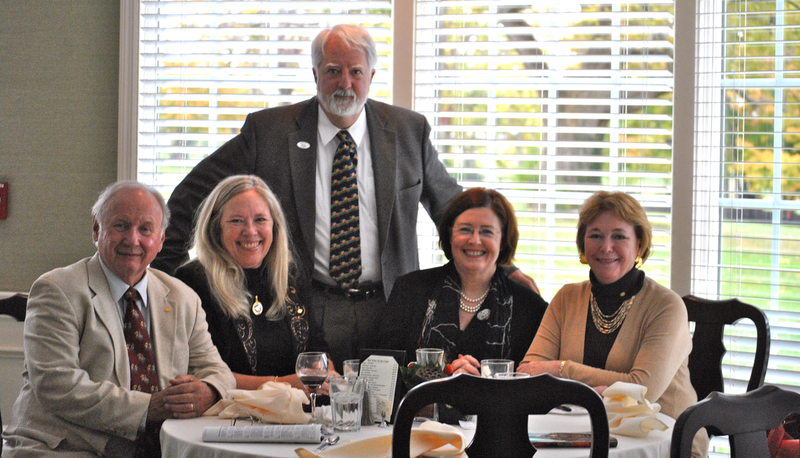 If you enjoy elegant dining, you must visit Lexington and Keeneland in April or October. Experience the beautiful life. Until then, you might want to pick up a copy of Keeneland Entertains, Traditional Bluegrass Hospitality and Favorite Recipes by Fran Taylor. I cherish my copy. 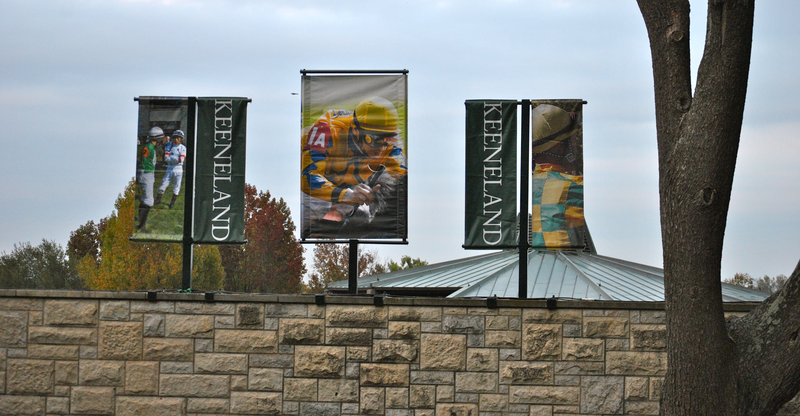 Have you been to Keeneland? If so, please share your experience with us. This entry was posted in Keeneland Race Track, KY, Uncategorized by cythomps. Bookmark the permalink.